The Circuit of 4 channel power amplifier car.A series of power amplifiers for car use TA8215 amplifier IC, which ic has 4 channel output. So it is suitable for use on cars. To output power per channel was approximately 10 Watt. 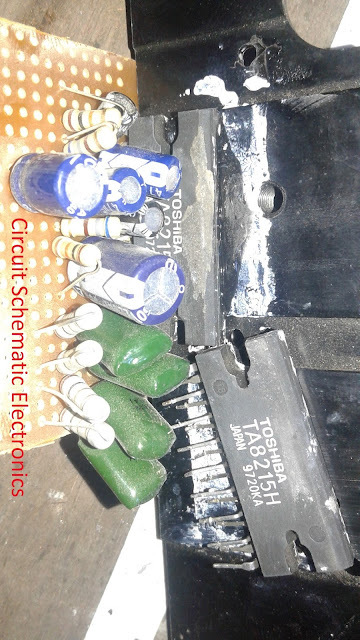 But in the discussion of the power amplifier circuit schematic of this car in the bridge circuit, so be 2 Channel, but the higher power output than the previous which only one channel. 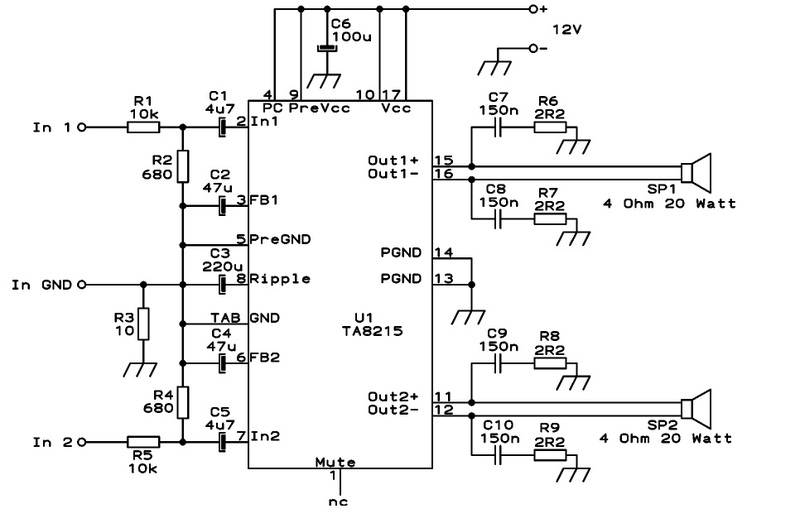 Thus requiring two amplifiers IC Ta 8215 to get a 4 channel output. Amplifier voltage is required at a minimum to a maximum of 12VDC and 20VDC. Power amplifier circuit has been my tests. And get great results, clear and smooth voice is not nasal tone or hum.